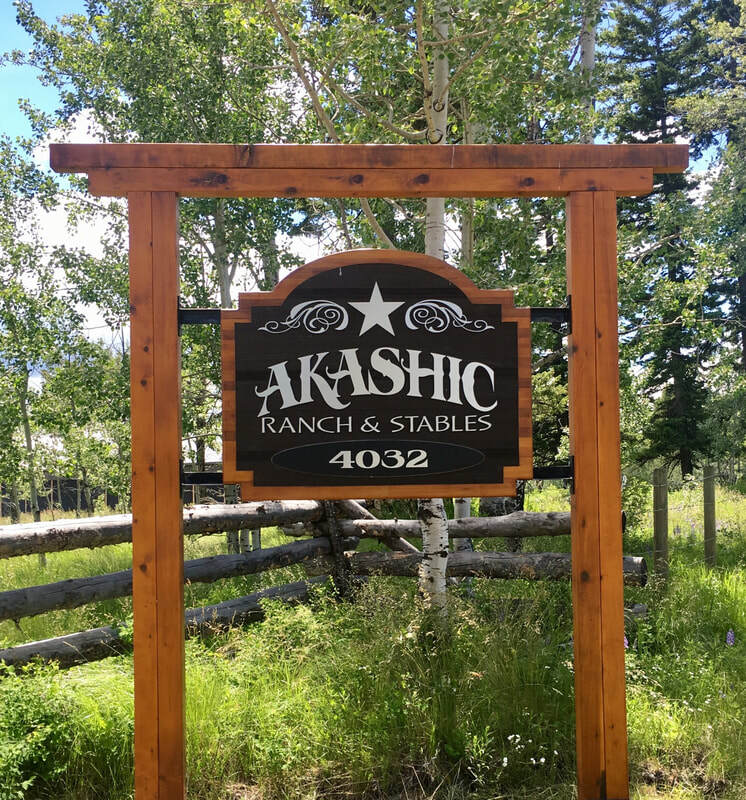 Akashic Ranch™ is a private wellness facility and family run business located on nearly 250 acres of sacred land near Kamloops British Columbia, Canada. Owner and founder, Marianna Harangozo is an avid horsewoman and spiritual student herself who believes that there's no end to learning in life and has opened her ranch as a natural healing space dedicated to the quest for personal growth, enlightenment and fulfillment through spiritual teachings offered by Marianne as well as those around the Kamloops area and well beyond. Marianne has opened her heart, home and sacred land to the many people who wish to experience the healing energy and serenity of Akashic Ranch. We welcome you to join us in some of the many amazing workshops we have to offer here at Akashic Ranch. Subscribe to our monthly newsletter, showcasing all of our special announcements, news and events! * The meaning of the word 'Akashic"; The Akashic Records contain the knowledge of All That Is, All That Was, and All That Will Be. The Akashic Records have had many names over the eons of time: Wisdom of the Ages, Records of the Soul, Book of Life and most recently in quantum theory - the Zero Point Field. 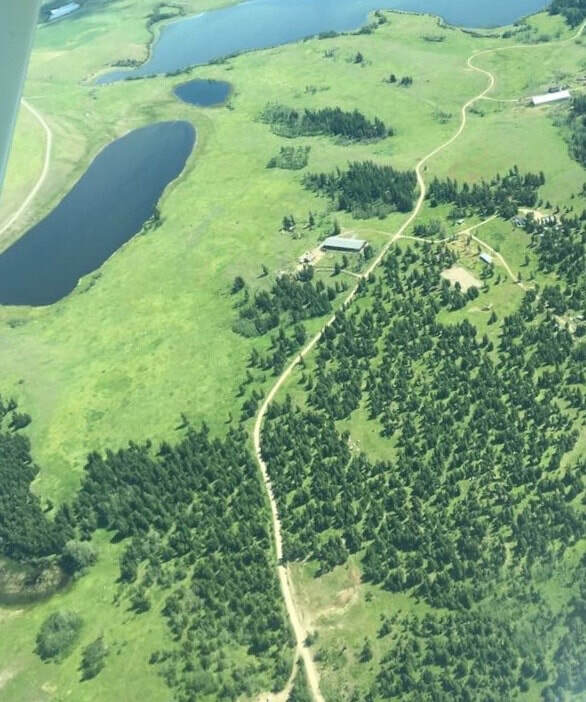 Aerial photo of Akashic Ranch taken by the Morrisons, summer 2018. Marianna Harangozo is a Certified Crystal Healer, Yuen Method practitioner. Reiki practitioner for horse and human, Access Consciousness practitioner, natural horsemanship trainer, and wellness workshop facilitator. Marianne also facilitates meditations and healing sessions guided by Spirit using her gemstone crystal singing bowls. She is a successful entrepreneur and spiritual visionary, and is also the founder and owner of the Akashic Ranch private wellness facility and The Crystals & Curiosities Cabin metaphysical store in Kamloops, British Columbia, Canada. Marianne has been a guest on The Lighter Side Show (part of The Lighter Side Network), The Lighter Side Show Podcast and the Wholeness Living Online Expo with host Jamie Butler. She's also been a guest speaker on The Truth Is Funny....Shift Happens with Colette Marie Stefan, and has been featured in the Interior Wellness Magazine as well as the Neighbours from River to Ranch Magazine. "My spiritual journey began with my horses. They taught me patience, intuitiveness, dedication and love and that furthered my quest to know more of who I am and what I have to offer. My personal triumphs and hardships in life have brought me here to this property. Now I want to share with others this space of nature that restores and replenishes the way it has done for me and continues to do. Nothing is ever perfect...but everything is perfectly as it should be."